As a brunette myself, I admit that I have not been a fan of the fact that gentlemen prefer blondes and that blondes (supposedly) have more fun. But in this case, the blondes are creeping up behind the dark-haired girls. Brownies are a bake sale favorite–and how can they not be? Warm, gooey chocolate bite-sized pieces of cake is perfection! 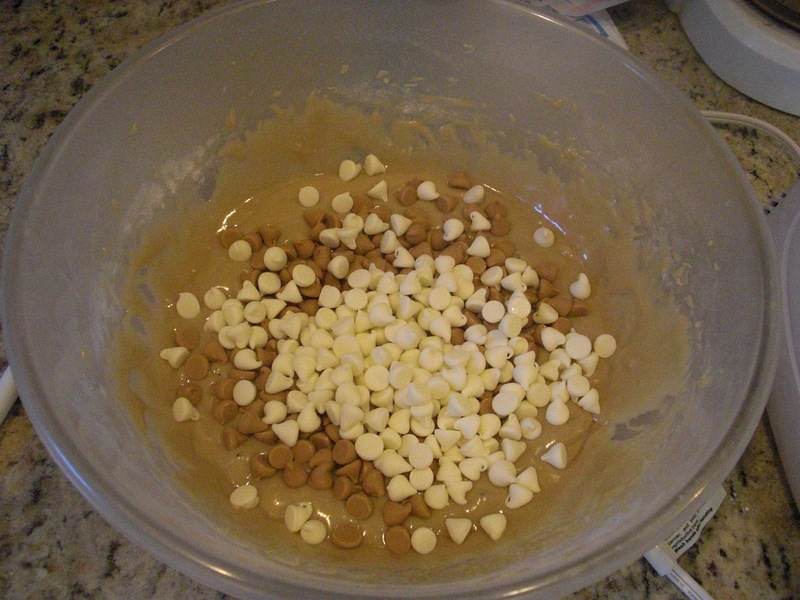 While there are so many brownie variations, I can’t ignore their lighter-completion counter part: blondies! If–for some crazy reason–you are not a chocolate lover, then this recipe is perfect. 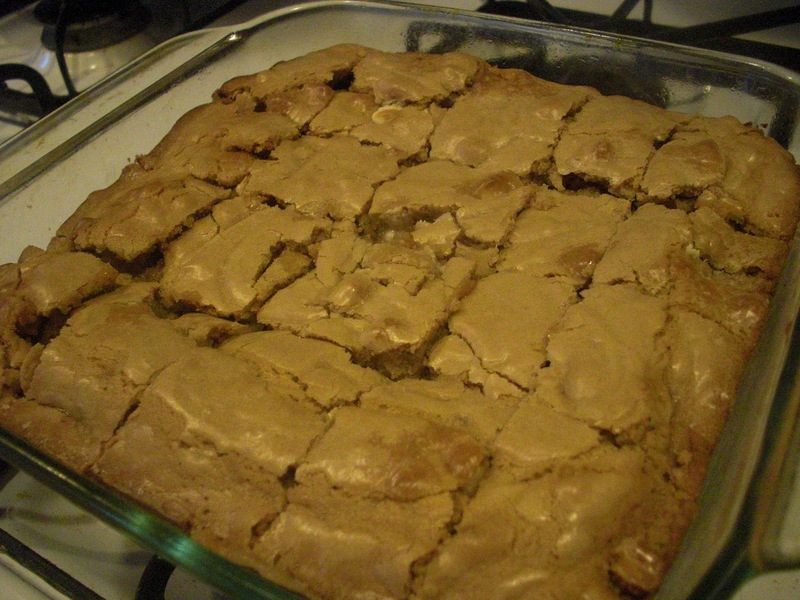 Or, if you just have a craving for some butterscotch deliciousness if your life, blondies are the dessert for you. Even though I love all things brunette centric (I LOVE chocolate–gotta embrace those dark roots) sometimes I have to admit, blondes are pretty good too. This blondie recipe is adapted from the lovely Paula Deen Even though there is no chocolate–white chocolate isn’t actually chocolate, hate to break it to you–I still love this golden, rich dessert. I’m not much of a candy girl, but I could eat butterscotch until I burst. If you like your blondes with dark roots, there are tons of blondie variations on the Food Network website. So even if you’re a brunette, or you prefer brunettes over blondes, I gaurantee you’ll put your differences aside and go crazy for blondies! (as I said in a previous post, there is a difference between light and dark sugar. Since this recipe is all about being a light color, and having a lighter, almost butterscotch taste, do not use dark brown sugar! The flavor will be too overpowering). Mmmmm. Mine came out still a little gooey, which is just the way I like them. The white chocolate and butterscotch chips make this dessert super rich and sweet, with a burst of flavor in every bite! Hope you guys enjoy them as much as I did! I love comments, so please, leave lots! !